The Carmel School in Ruther Glen has increased enrollment by 15 percent for the 2017-2018 school year. The school began the new year with 160 students, creating a need for a second mobile annex. “The Carmel School is pleased to continue to attract families who are interested in an independent school focused on providing students a challenging and enriching education within a Christian environment,” said Head of School Carolyn Williamson. 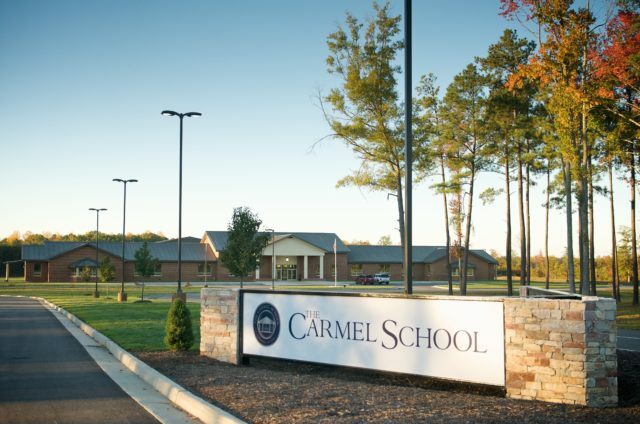 “The Carmel School is convenient to families in the Richmond and Fredericksburg regions, and tuition remains one of the lowest in the area,” she said. Of the 160 students enrolled, the junior kindergarten and kindergarten classes are full. “We are proud to have added an additional kindergarten class to meet the needs of our families and to continue to offer small class sizes,” Williamson continued. To accommodate increased enrollment, the school has added twelve new staff members. In response to the increase in enrollment, a second mobile annex was added providing six new classrooms for a total of twelve additional classrooms. The Carmel School athletics program continues to grow, and new practice fields were completed this Spring to accommodate a variety of sports. About The Carmel School Founded in 1986, The Carmel School provides quality education for 160 students in grades pre-k through twelfth grades, and is committed to its goal of academic excellence in a Christian environment. Situated on 145 acres in Ruther Glen, Virginia, The Carmel School is an independent, college preparatory, PreK-12 coeducational school. The school strives to develop a well-balanced student by maintaining a commitment to Christian values. Students are challenged to grow academically, as well as physically, spiritually, emotionally, and socially on their way to becoming responsible citizens. For more information, visit thecarmelschool.org. Previous articleParent-Powered Research Is Off and Running!